If one was made, it should be CG, a la FF: Advent Children. Doing it with live actors would simply ruin it. I don't think so. Why? The video games are already artificial. In a movie, I want real actors. Can you honestly picture a Zelda movie with real actors working? 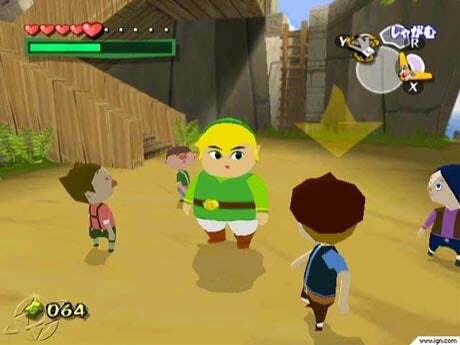 The world of LOZ is too "cartoony" (for lack of a better word) to be transcripted successfully to film with real actors, because you would have to redesign everything, and in doing so, you would stray away from what is the heart of the series. In my not so humble opinion, of course. I don't understand that. I really don't. What exactly would have to be redesigned? Ocarina of Time is perfect for a movie story. Ever heard of CGI? So, what you're suggesting is to have actors playing in front of green screens? I'm talking about a combination of real landscapes enhanced with CGI. What do you think Oz is? My problem is not with the landscapes: it's with the characters. They are too "stylized" to be played by real actors. I think BloodBoal should play Link. You're right, I think the role of Zelda makes a better fit for you. indeed. lay off the cakes, man! It's not my fault! It's my genes! That's because fat people don't lie. True. George Lucas didn't start talking trash until he got his third and fourth chin. I just bought Skyward Sword, and it took me 2.5 hours to get through what I consider the prolonged, i.e. until Zelda is captured. Is the rest of the game proportionally long and meaty like this? (ok, not meaty, if I hear one more reference to the wing ceremony, it's going back). It does seem very long, but the rest of the game gets less dialogue heavy later on. Like the end of the video was not obvious enough? They should have hired this guy for Radagast the Brown. I knew these must have been posted when I saw that this thread had updates. Finally one great tribute for the brilliant music. he doesn't have a cat though. The story could be lifted right from Ocarina of Time. Man, I would love that. I could envision the trailer already. Why? That's about as un-Zelda-like as it gets! Well, just the animation really - lots of movement, sword fight, the way Yoda is animated with lots of flips and spinning, and the way the light sabers (or in this case swords) hit each other. 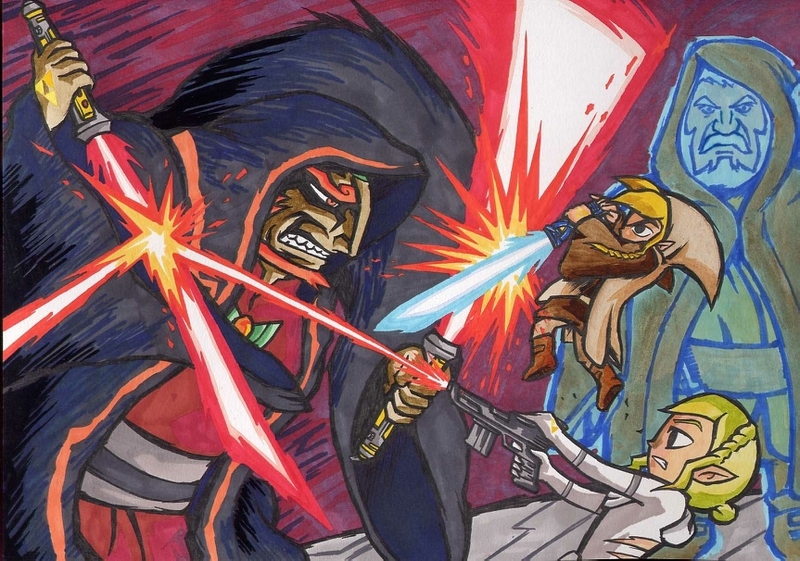 Just replace Yoda with Link, make him a little bigger, replace Dooku with Ganon, make him a little smaller, replace the scenery with a forest from Brave, and the light sabers with swords, and bam! Well, I really enjoyed creating a 72 minute album for Twilight Princess and Wind Waker, that I decided to do the same with Skyward Sword, the only problem was, there were so many highlights, that I soon found myself with a 45 minute album, and I had almost nothing from the finale of the game! Here are some Rearrangments/Reorchestrations I made of Music from The Legend of Zelda Series, based off of various MIDI's found around the internet. (In case you don't recognize the sprite, it's Aghanim from A Link To The Past). All these years, I thought he was supposed to look like the guy on the right (minus the long hair. I knew that the light green on both sides of his face was supposed to be part of the clothing). Sweet, I wasn't confused about it! What's funny, is that in both the SNES version and the GBA version, he has red clothes on the artworks, but green clothes in the game. So, there I have good news and bad news, the good news is: Majora's Mask 3D has a new end credits piece!